It has been a busy few weeks for the Evelyn Waugh book group, what with the 1920s party on Thursday 2nd October (photographs coming soon!). Our meeting on Saturday the 27th September saw us talking about Waugh’s 1948 novel The Loved One. Grim, funny and darkly satirical, it tells the story of Dennis Barlow’s experiences in Hollywood, amidst an expatriate community of ageing British writers. It contrasts the absurdities of two funeral businesses, one for pets, ‘The Happier Hunting Ground’ and the rather more deluxe surroundings of the ‘Whispering Glades Memorial Park’ (based on the Forest Lawn Memorial Parks) which serve the ‘Loved Ones’ of the novel’s title. 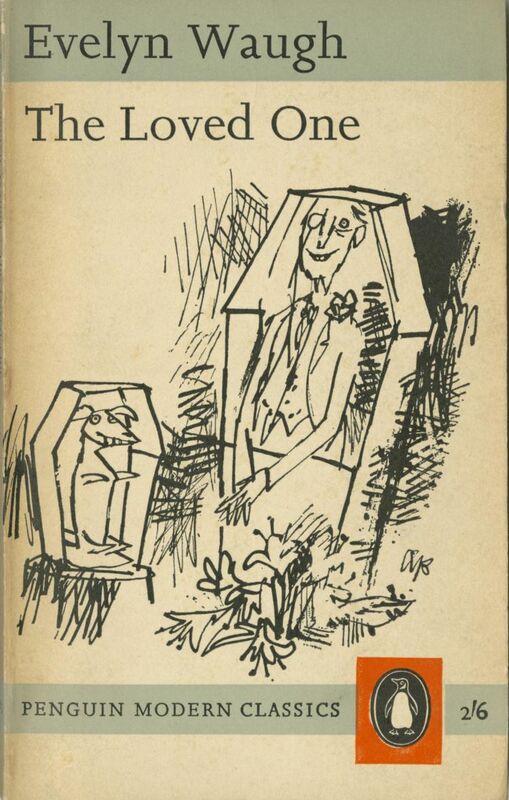 It was noted that the satire of the novel might not be as immediately cutting today as it was when the book was published, due to the increasing influence of American culture on Britain over the years, but that is not to say it isn’t there! Two things that struck the group were the manner in which Waugh describes American women, and the depiction of the utterly callous ‘machine’ of Hollywood. Dennis’ whole attitude appears to change as the novel develops and there was some discussion as to why this might be. One idea was that the general atmosphere of the film “factory” of Hollywood may have disillusioned the young British writer in the way it had been experienced by so many of his predecessors, both real and literary. We found that the image of the factory is also pertinent to the funeral business Waugh depicts in the novel – endless ‘Loved Ones’ churned out as if on a production line, passing through different areas of the funeral home before their final presentation to the ‘Waiting Ones’ in the ‘Slumber Room’. There is, of course, much more to say about this short yet richly allusive novel, and I invite you to continue the discussion in the comments if you so wish! Our next meeting is on the 8th November at 11am in Leicester Central Library where we will be discussing Men at Arms (1952). I adore this novel. There’s so much to love about it, I don’t know where to begin. There’s a vein of pure rage that runs under the humour, a disgust at ‘Whispering Glades’ total denial of death manifested in sentiment and sanitisation. For Waugh, this denial was the ultimate sacrilege. Dennis’ cold behaviour in the end reminds me of other Waugh protagonists- at the end of Decline and Fall, for example, Paul Pennyfeather comes across as judgemental and totally unempathetic. The grotesquerie is beautifully pitched, with the idea of massaging away the signs of hanging to leave a corpse (sorry, ‘Loved One’) with a huge grin encapsulating the message of the whole.